View of the full yard from the bottom, ample space for a tented reception! 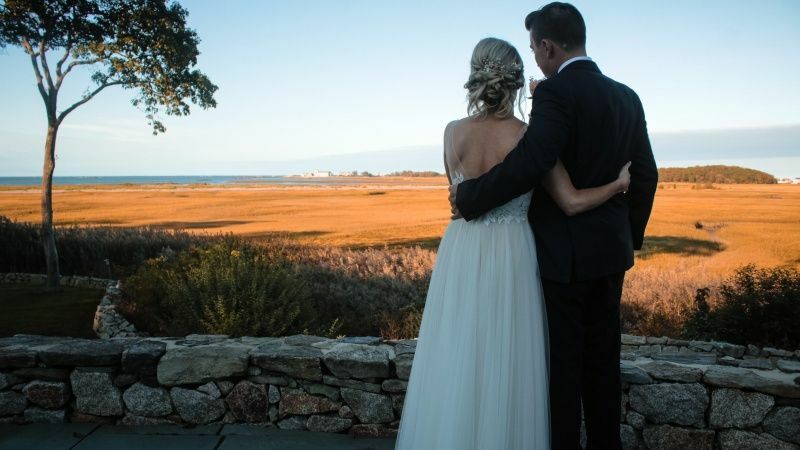 Imagine your guests crossing over the causeway to your own unique estate wedding venue on a private island! 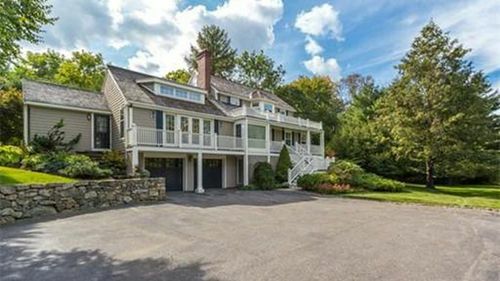 Birch Point Estate is a family home with exceptional views of the marsh overlooking Briggs Harbor. Turn down the private drive that opens up the quintessential cape-like estate with 6 acres of land traveling behind it and views of the Atlantic Ocean as far as the eye can see. 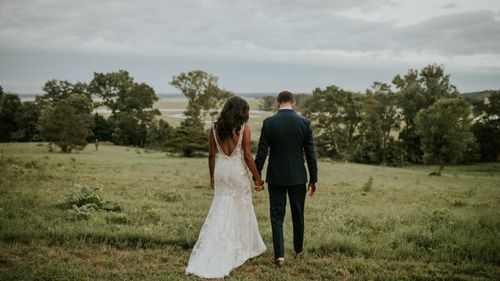 Before your wedding, enjoy access to the on-site in-law suite and get ready for the big event alongside your closest friends. 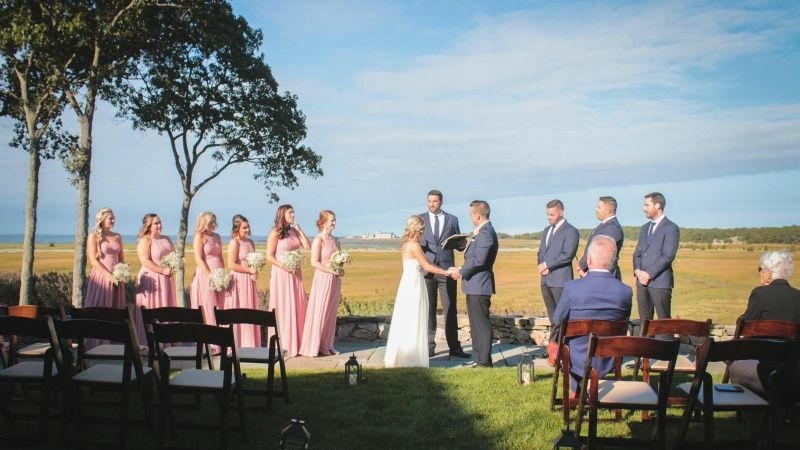 Exit the house through the back deck and enter to your ceremony set on the stone patio set before protected marshlands and sweeping ocean views. Transition into a cocktail hour on the back deck and lawn or surrounding the on-site pool. At the same time, sneak away with your dearly beloved for fantastic photo opportunities on the properties edge with unobstructed ocean views. 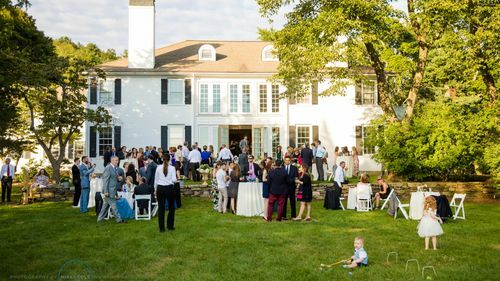 For the reception, move back to the front of the house where there is plenty of lawn space for an outdoor tented reception. Here, enjoy family, friends, food and more for the perfect outdoor wedding celebration designed just to your liking. Looking to stay overnight? Rent the entire house, to include 5 bedrooms for you and your closest family or friends for the entire weekend. Changing Rooms - Wedding suite with private entrance available. Parking - 30 parking spaces available. Electric Power - Limited residential capacity. Generators required for most requirements. 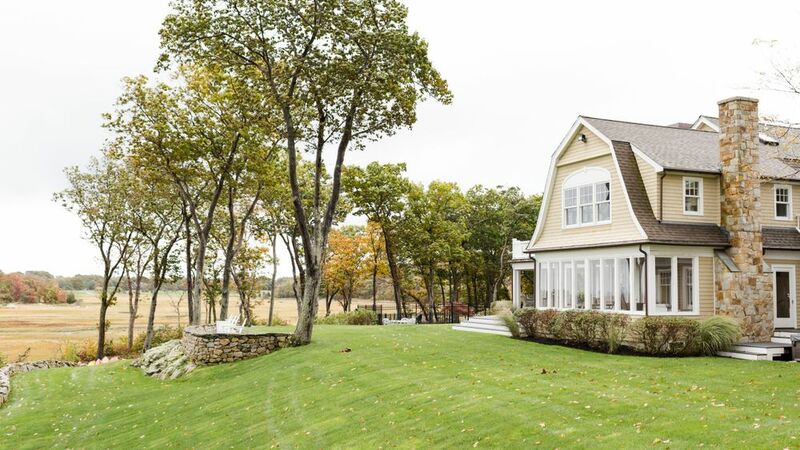 Nantucket Shingle style home on a 6 acre Island. 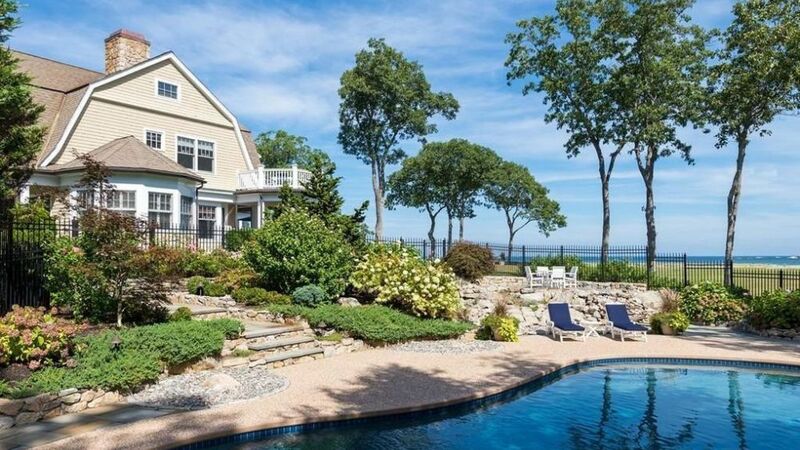 Features panoramic views over the salt water marsh and ocean. Includes a newly constructed In-law apartment with elevator, private bath and full bedroom, as well as an upper refinished loft apartment with private bath. 5 Bedrooms with 1 x King and 4 Queen beds. Fireworks: Fireworks permitted with prior approval from local fire department.